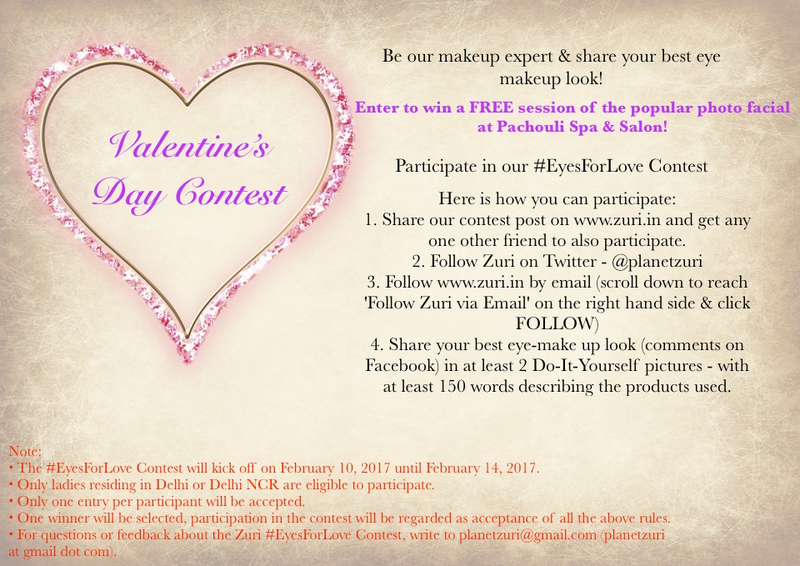 Read on to know how to participate in this awesome Valentine’s Day contest and win amazing prizes! Participate in our #EyesForLove Contest! Enter to win a FREE session of the popular photo facial at Pachouli Spa & Salon! Get Set Glow! 1. Share our contest post onwww.zuri.in and get any one other friend to also participate. 4. Share your best eye-make up look (in the comments on Facebook) in at least TWO Do-It-Yourself pictures – do write in at least 150 words describing the products used. 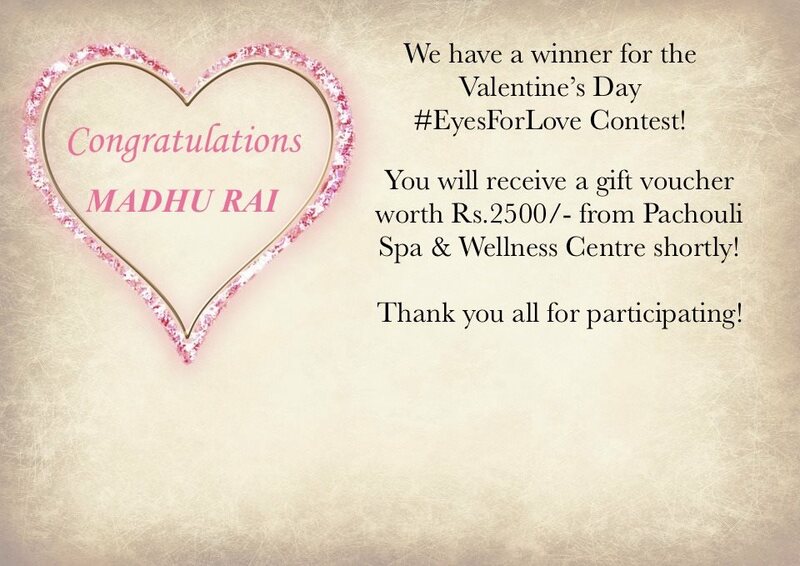 And the winner is Madhu Rai!